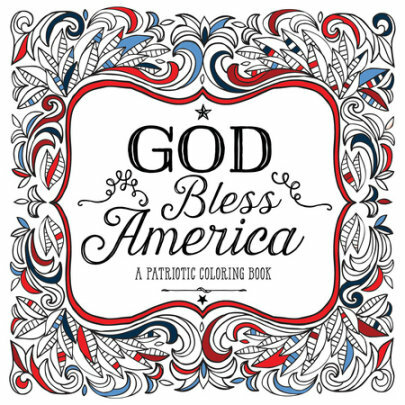 Because what better way to spend the 4th of July weekend than coloring poolside with an adult beverage? I've worked with a string of fun coloring books lately, and this was no exception. Unlike other books, these do not all tie into each other and flow into a longer story; there are nine artists involved, so they are sufficiently varied. I liked this, because I liked the way each collaring page was a separate project. They also had a nice variation in complexity, with some pages very complex and others far simpler. It was a nice book to share with my 8-year-old daughter (who, truth be told, likes the more complex ones). The best part, though, is that each coloring page has a facing page with a quote, hymn, or other history, so it's a good read as well — again, another nice thing to share with a history-fascinated young girl! (I received this book from Blogging for Books in exchange for my review, but all views are my own).